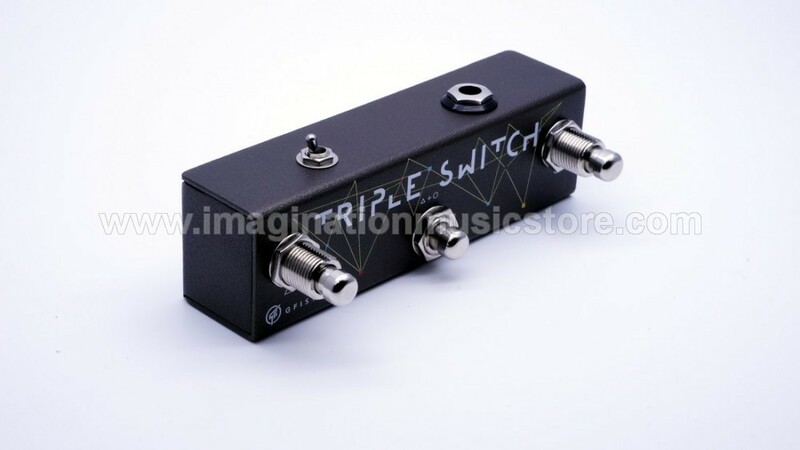 Triple Switch provides 3 momentary and normally-opened switch contacts that you can use to unlock the full potential of controls and features of your pedals that have external control capability. ~ 2 Compatibility modes serve virtually all pedals (that accept normally-opened switch contacts) in the market. ~ 1/4 Right-angle TRS cable included. ~ Normally-opened momentary switch contacts. ~ Output jack : 1/4 inch TRS.